The atmospheric mass density of the upper atmosphere from the spherical Starlette satellite’s Precise Orbit Determination is first derived with Satellite Laser Ranging measurements at 815 to 1115 km during strong solar and geomagnetic activities. Starlette’s orbit is determined using the improved orbit determination techniques combining optimum parameters with a precise empirical drag application to a gravity field. MSIS-86 and NRLMSISE-00 atmospheric density models are compared with the Starlette drag-derived atmospheric density of the upper atmosphere. It is found that the variation in the Starlette’s drag coefficient above 800 km corresponds well with the level of geomagnetic activity. This represents that the satellite orbit is mainly perturbed by the Joule heating from geomagnetic activity at the upper atmosphere. 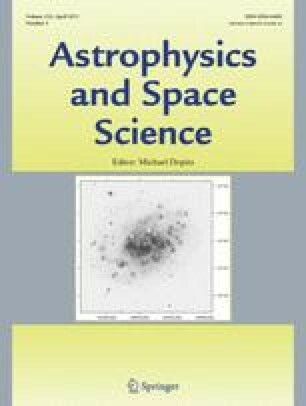 This result concludes that MSIS empirical models strongly underestimate the mass density of the upper atmosphere as compared to the Starlette drag-derived atmospheric density during the geomagnetic storms. We suggest that the atmospheric density models should be analyzed with higher altitude acceleration data for a better understanding of long-term solar and geomagnetic effects.